By Melissa Lennig on March 4, 2018 2 Comments. This content contains affiliate links. As an Amazon Associate I earn from qualifying purchases. Yesterday our family attended an Early Bird Easter Egg Hunt. My youngest left in tears…he didn’t find any eggs. What a bummer! 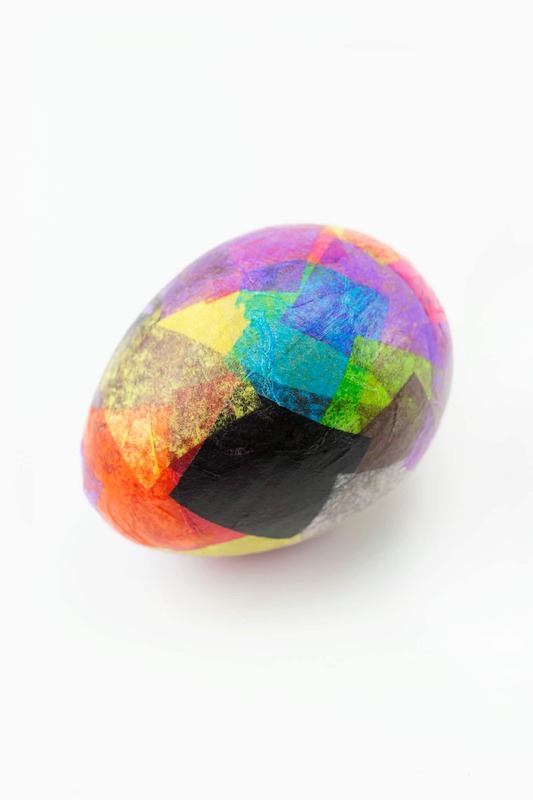 Thankfully, my oldest was happy to share his and I had prepared a Paper Mache Easter Egg Craft for the afternoon. 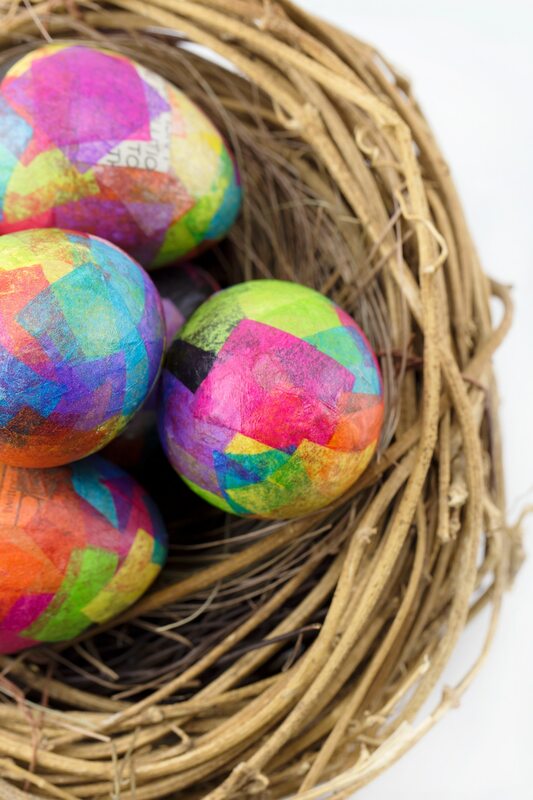 The eggs are beautiful and add a quirky flash of color to our kitchen table! 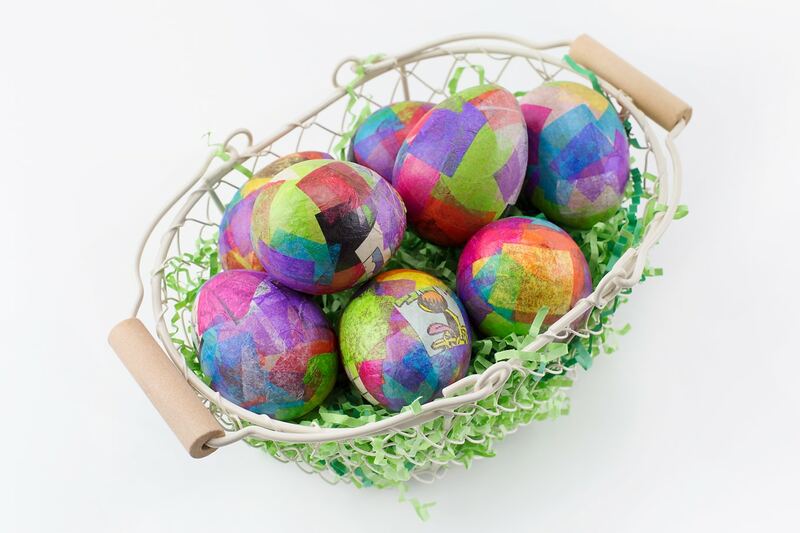 I purchased paper mache eggs from a local craft store. Decoupage (in kid terms, slathering glue and paper together) is a forgiving technique for little ones and you can bet it has potential to turn into a sticky, colorful mess. That’s what makes it fun! Upon drying, the boys’ eggs were smooth and so bright, they seemed to glow. 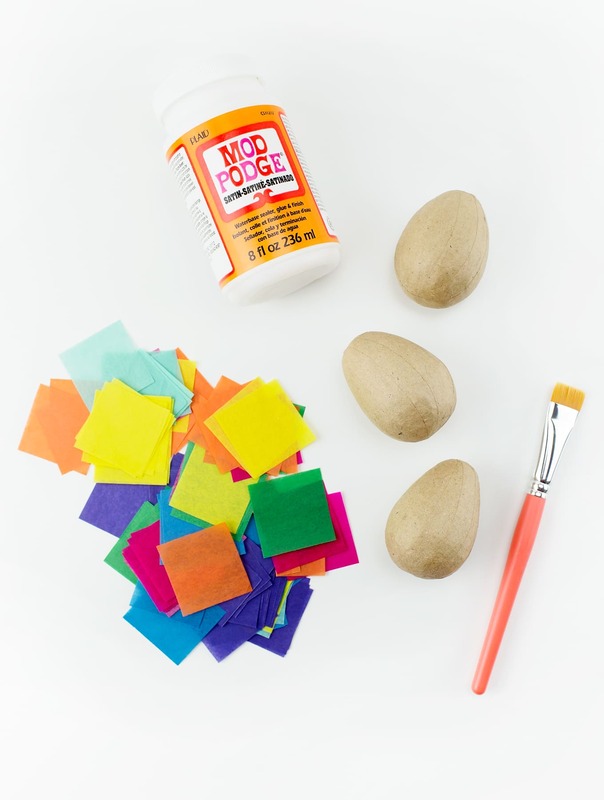 Using the brush, spread a small amount of Mod Podge onto an egg. Place a piece of tissue paper or newspaper over the glue and press it down with the brush. Continue working this way until the entire egg is covered in paper. Place the eggs on a parchment lined cookie rack or plastic plate to dry. 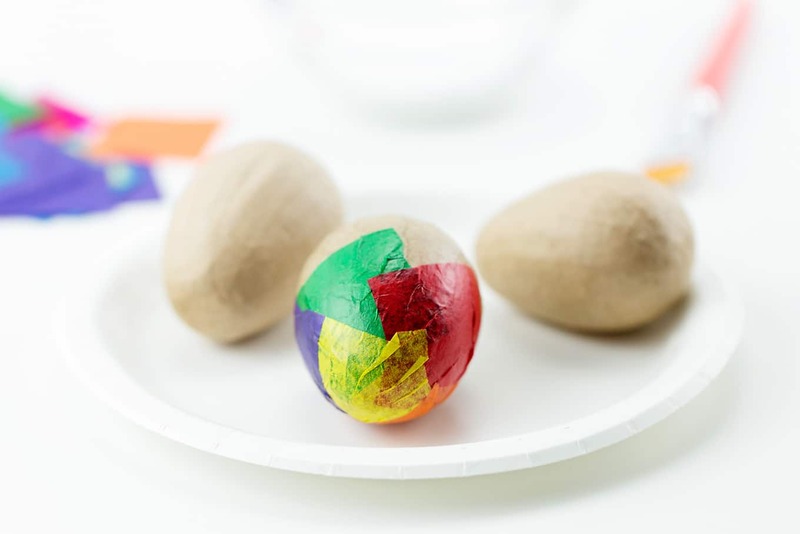 We enjoyed a classic Easter Egg Hunt at home with our paper mache eggs. They were easy to spot in the shades of grey and brown that currently are our yard! Since these eggs are not breakable, they would also be awesome for egg toss and egg and spoon races! 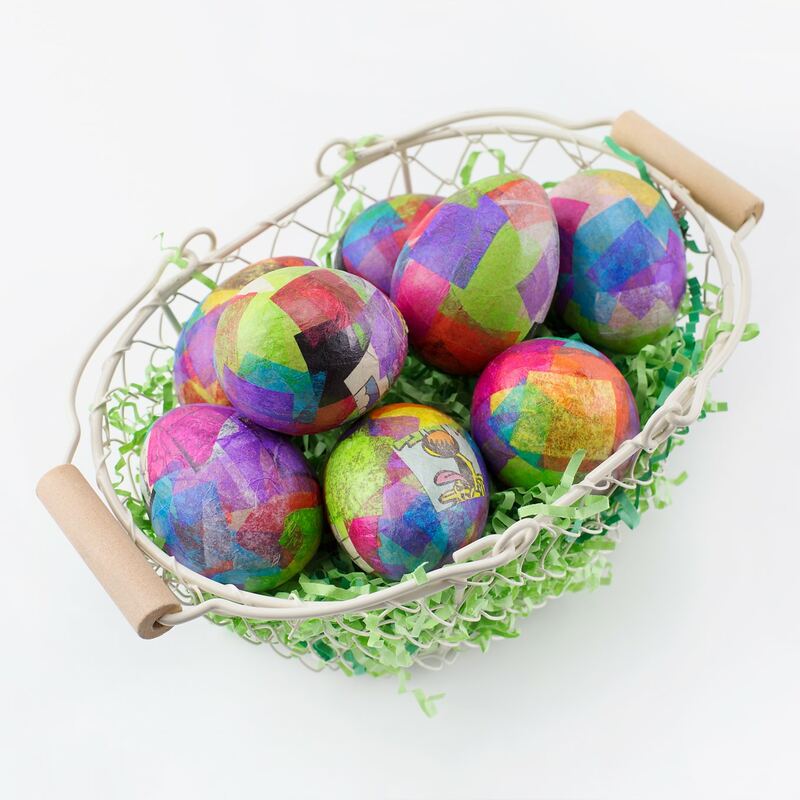 There are so many ways to decorate and craft with eggs. 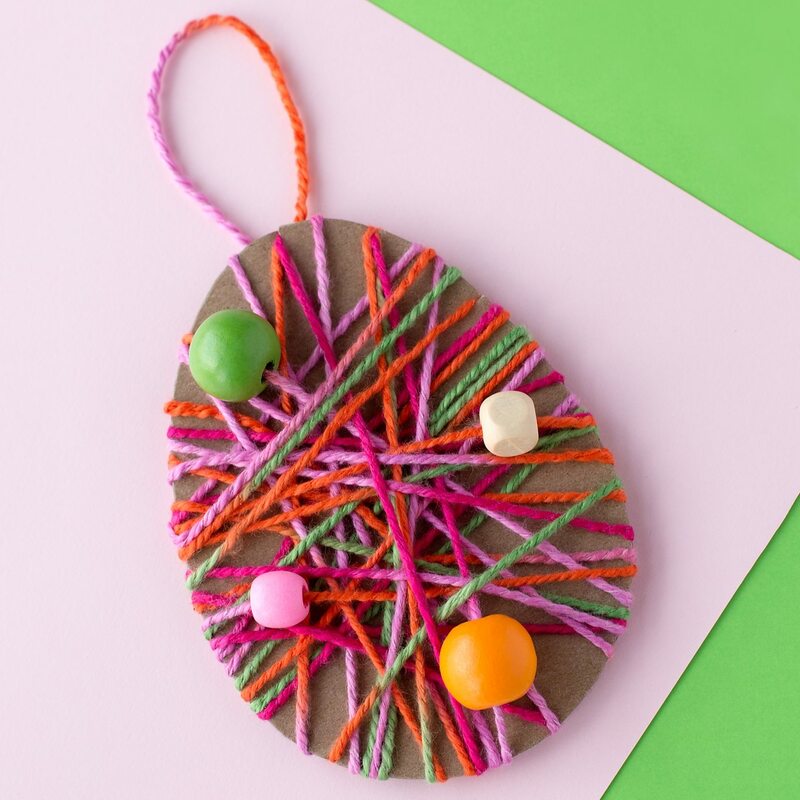 Here are some more creative egg crafts for kids. 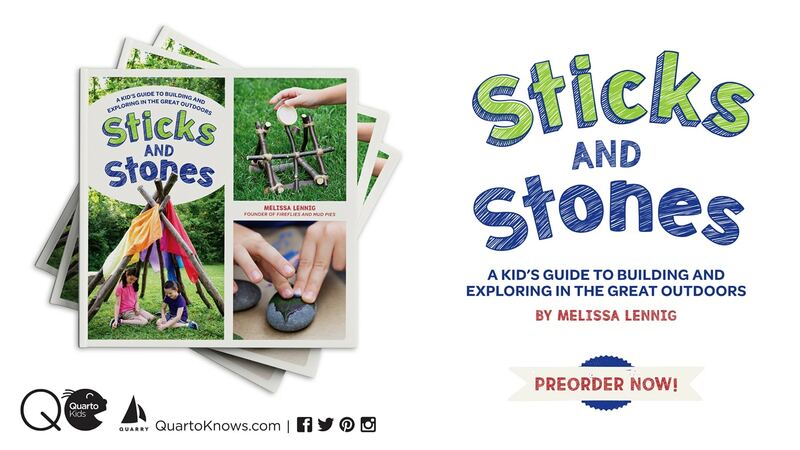 I love your idea; thanks for sharing! 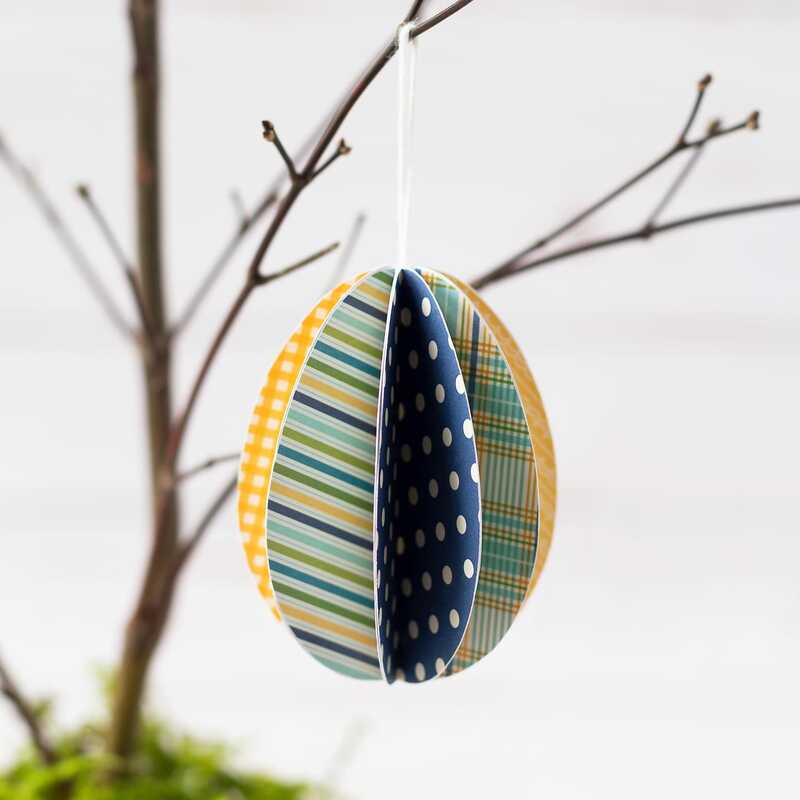 I’ve included your eggs in my Easter egg Round up!